Showing results by author "Jesse Payne Ed.D"
Narrated by: Jesse Payne Ed.D. 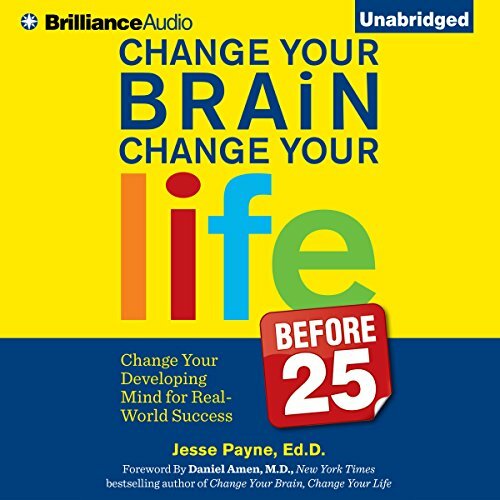 Change Your Brain, Change Your Life (Before 25) is based on Dr. Jesse Payne's and Daniel Amen's work together with young people and parents and educators who work with young people. It is an owner's manual specifically written for the developing brain, packed with interesting information, relatable stories and easy-to-follow brain prescriptions and enhancement strategies. Its step-by-step instructions are tailored to optimize brain power while minimizing brain interference.